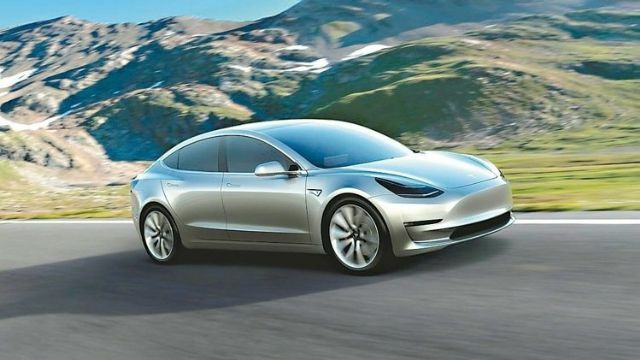 Brisk Pre-orders of Tesla's Model 3 Prompt Hota to Set Up Plant in U.S.
Strong pre-orders for Tesla’s Model 3 electric sports sedan drive Taiwan’s Hota to seek a location in the U.S. to build new capacity for the customer (photo courtesy of UDN.com). Responding to the brisk pre-orders of Tesla's Model 3 sedans, Hota Industrial Mfg. Co., Ltd., a Taiwanese conglomerate of transmission system parts, machinery and all-terrain vehicle businesses and Tesla's exclusive supplier of reduction gear sets, has been planning to set up a plant in the U.S. to better serve the customer and seize considerable business opportunities brought by Tesla's success. The plan was formally confirmed by Hota's chairman, David Shen, at an investor conference held in late-June, where he said Tesla's current influence on the global automotive supply chain “has been too big to neglect,” and therefore contract suppliers looking to maintain stable ties with the American premium electric car maker have had to set up their capacity nearby. Most would agree the chairman made that comment mainly due to the incredibly strong pre-orders for the Model 3 sedan, which Tesla reported in late May have exceeded 370,000 units. Market observers generally believe annual sales of the electric sports sedan are likely to top 500,000 units in the short term. Presently, Hota, whose maximum output of reduction gear sets exclusively for Tesla, all made in Taiwan, stands at around 300,000 units a year, supplies 160,000-180,000 units to Tesla for production of Model S and Model X yearly. If the Taiwanese firm remains favorable for Tesla to supply Model 3's reduction gear sets, it will definitely see its capacity fall seriously short of demand. Under the scenario, Hota has sent its representatives to the U.S. for several times to look for and assess where to build a new factory to meet Tesla's explosively surging demand in the future. According to insiders familiar with the planned construction, total cost is estimated at about NT$1.65 billion (approximately US$51.56 million), with under-the-radar locations for the new factory including Riverside in California. One more reason among others Hota takes the plan so serious is its current high dependence on the North American market. As 72 percent of Hota's customers are from the U.S. for the time being, market observers indicate that setting up a factory locally, from another viewpoint, can better help the Taiwanese supplier in the long run to hedge risks of delayed delivery and related losses caused by frequent port strikes on the U.S. west coast, albeit the country's higher labor cost than Taiwan's.